I’ve also conveniently set up two membership options: a monthly and yearly subscription. 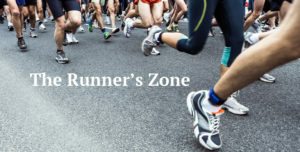 The monthly subscription is designed for folks looking to take The Runner’s Zone for a test drive while having the option to cancel at any time. For those who opt for the yearly subscription you will save $42. I can’t wait to share everything that I’ve come to learn and appreciate when it comes to help runners of all ages and abilities from both an injury and performance perspective.